How to Retrieve iTunes Library from iPod? Your iTunes library has something that matches your every mood. Whether you are sad or feel like partying, the playlists you create will have you sorted for the specific moment. The most unfortunate thing is to lose it all. An iTunes update or a new device can make you lose your iTunes library. That’s when you will need to retrieve it. If you have your iTunes library loaded onto your iPod or any other device, then retrieving the library won’t be that hard. We can guide you on how to retrieve iTunes library from iPod and get all your data back. The best way to recover iTunes library from iPod is by using a third party software, i.e. iMyFone TunesMate. It requires a simple one-click process to restore your iTunes data and has no restrictions. To easily retrieve iTunes library from iPod, iMyFone TunesMate comes with the following features. It comes with a 2-way transfer option. Which allows you to transfer files between iPod and iTunes/PC conveniently. It allows you to transfer unlimited iTunes libraries to and from unlimited iOS devices. You can easily recover iTunes library from iPod without the Apple password or restrictions. 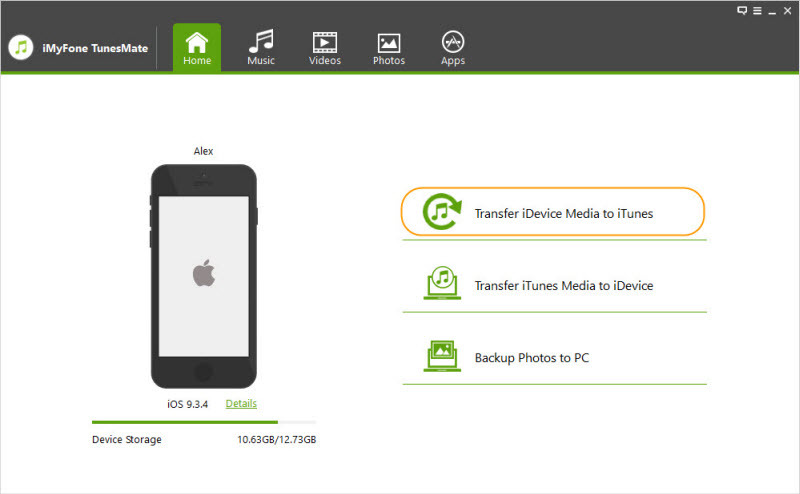 It offers a media transfer support for both purchased and unpurchased media files. 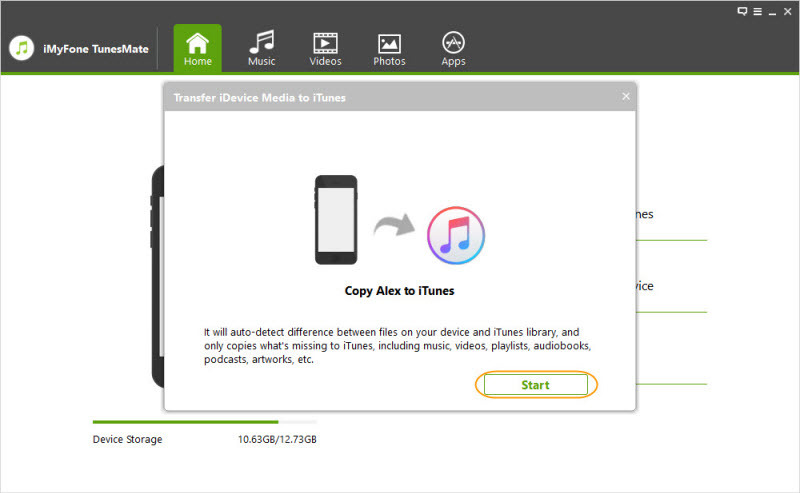 With iMyFone TunesMate you can preview and can selectively sync files through iTunes before you retrieve iTunes library from iPod. You can easily transfer and sync media files without overwriting or deleting the original file from the iTunes library. Step 1. On your PC download and install the iMyFone TunesMate software. Step 2. Connect the iPod to your PC using an USB cable and launch TunesMate to begin the process. Step 3. On the home page of iMyFone TunesMate, you will see 3 options displayed. Out of the three select the “Transfer iDevice Media to iTunes” option. Step 4. After you have selected the option, click on the “Start” button so that the software starts scanning your device. Step 5. Once the scan is completed, review the media files that you want to restore. Step 6. Select the reviewed media files by checking the box next to each file and click on the “Start” button to begin the transfer onto your PC. That’s it! 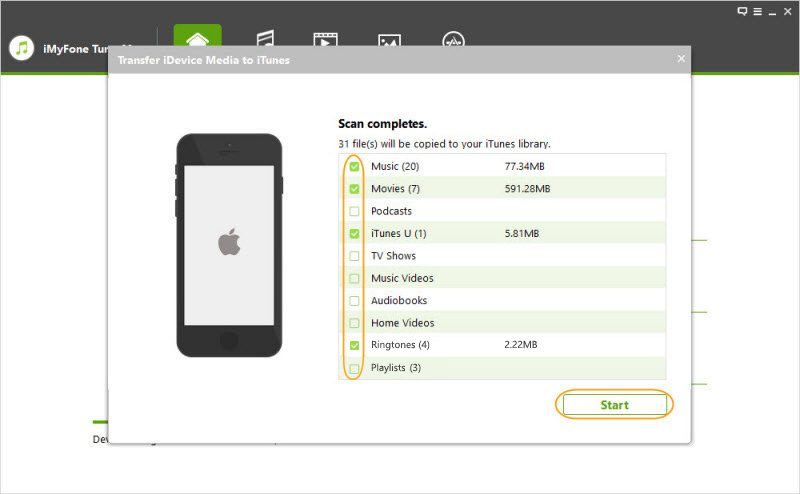 With a few simple steps you will be able to retrieve iTunes library from iPod with iMyFone TunesMate. You can recover iTunes files from iPod using iTunes. However, if you don’t have iTunes authorization on your new iDevice or PC, you may not be able to access your iTunes library. So before you begin the restoring process you should first authorize a Mac or PC. Step 1. Download and install the latest version of iTunes on your Mac or PC. Step 2. Using Apple’s original lightning cable, connect your iPod to your Mac or PC and launch iTunes on it. Step 3. 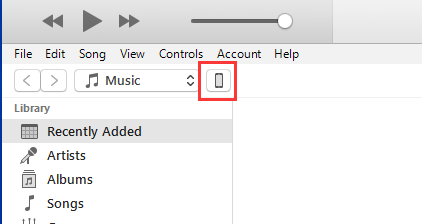 The device you connect will appear on the upper-left corner of the iTunes window displayed as an icon. Step 4. Click on the iPod icon and open “Summary” which is located on the left sidebar on the iTunes window. Step 5. Select the files that you want to restore on your device by checking the small box next to each file. Step 6. After you have selected the files, click on the “Sync” button to back up the selected media files. Step 7. 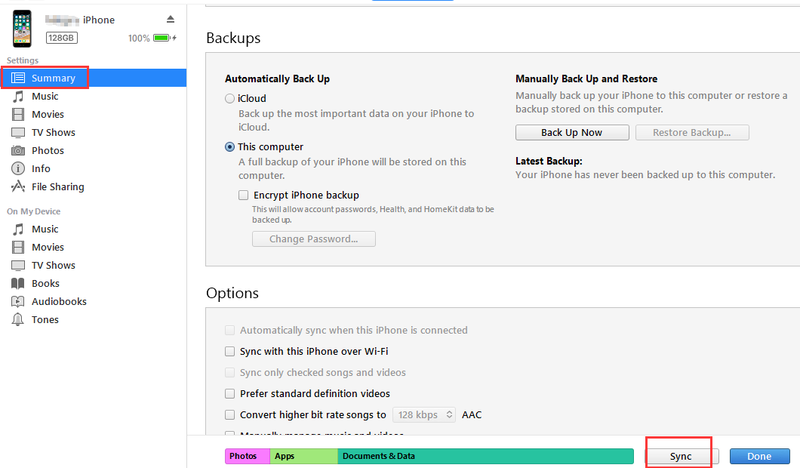 You can repeat the previous step to backup different media files on your iPod. Bruno Thompson, who has 3 years experience on writing iOS tips, has a real interest in helping users deal with all kinds of problems when using mobile phones.